Price: 1690 BDT, Product Description It’s not a brush. It’s not a flat iron. It’s not a curling iron. 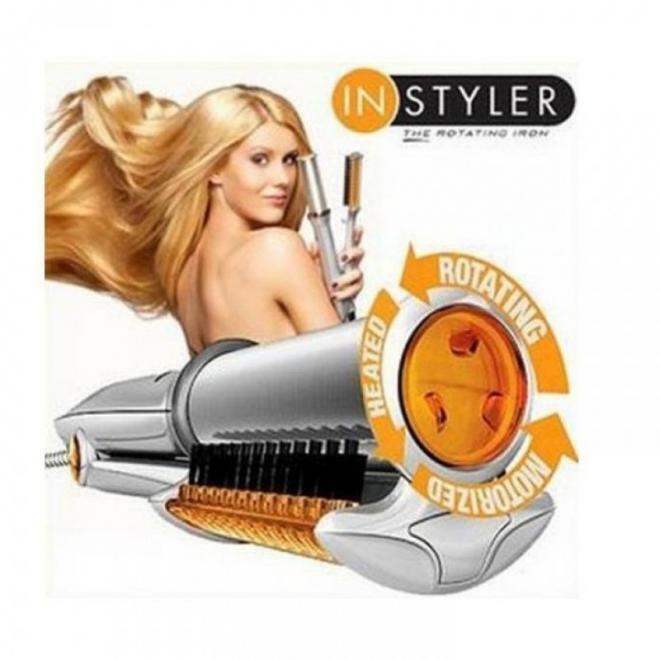 It’s the InStyler® rotating hot iron! The InStyler® rotating hot iron is a totally new styling and straightening tool unlike any hair styling product ever invented! The secret to the InStyler® iron lies in its rotating heated polishing cylinder, along with four rows of precision-aligned bristles. Here’s how it works: when you run the InStyler® rotating hot iron through your hair, the first set of bristles gently sort and separate your hair strands. Then the rotating heated polishing cylinder gently glides over your hair, smoothly polishing, straightening, and styling each strand. Finally, the second set of bristles puts the finishing touch on your hair, leaving you with shiny, silky, hair! It truly amazing!